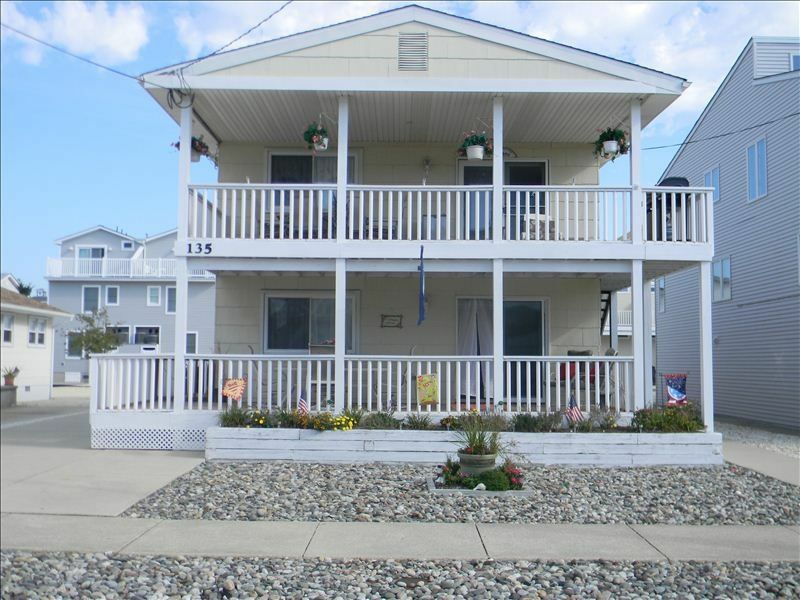 Sea Isle City Family Beachhouse located on a quiet street in desirableTownsend's Inlet. One block from the beach and one block to the Bay. 4 bedrooms, 2 full bath ( 1 stall shower &1 bathtub with shower) plus an outside shower. Great room has access to large, gated deck. Central air plus ceiling fans in every room. Private off-street parking. Cable tv in every bedroom. 1st floor living makes it ideal for seniors and families with small children. Pet friendly. Basketball court and bike rack on premise. Pet friendly. Quiet street. First floor access makes it ideal for seniors and families with small children. Gated deck a plus. One block from the beach. Great place. Just short walk to beach. Clean. Beds super comfy. The house was cute and clean and the homeowner Kathleen was extremely helpful with any questions that we had during our stay! Had a great weekend stay. Owner is very easy to work with. The house is well kept. Great spot, close to the beach. Locals are all very nice. The place was a little dirty upon arrival. Make sure to bring lots of cleaning supplies, your own sheets and pillows. Too far from downtown SIC to walk to the stores and bars, jitney was helpful. Overall a good experience. I would absolutely rent again. Deposits are non-refundable. Pet fees and linen service fees are optional.